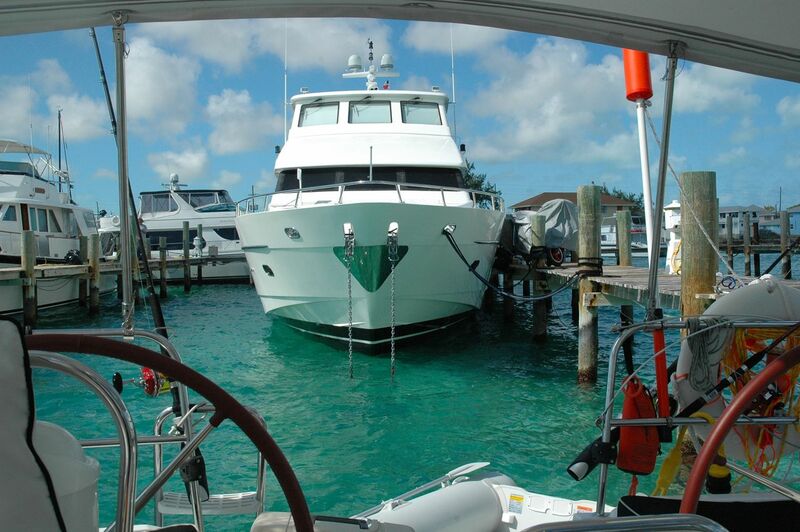 George Town, Docking at Exuma Docking Service Marina. 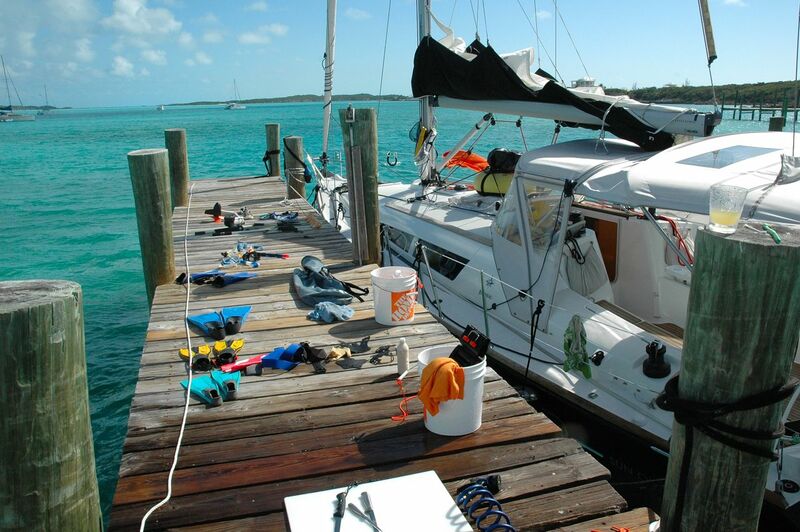 We are in the first couple weeks of January 2009, and planning to leave the boat in George Town Bahamas for a couple of months. We will fly home go back to work and school for a little while, and then back in March Break for a couple of weeks. 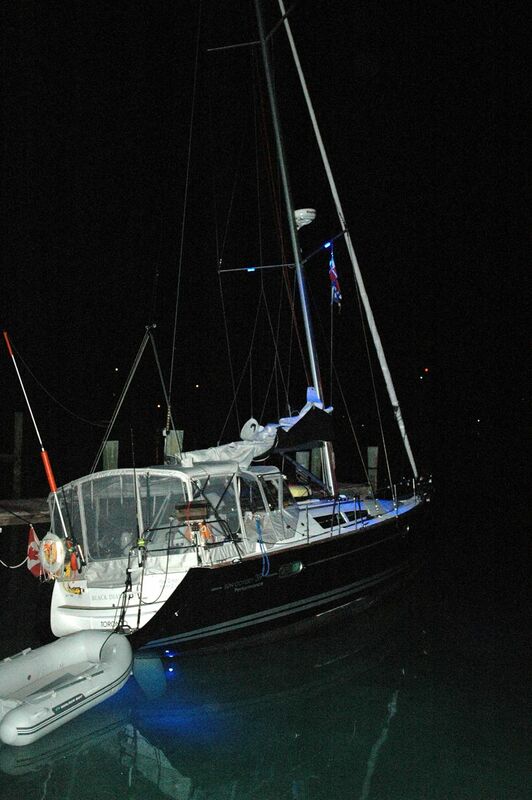 The plan was to leave the boat on this dock at the Exuma Docking Service dock in George Town, at a cost of about $1,000 per month. Read on down to see what we actually ended up doing. But for now, the job at hand was to clean everything with fresh water. At a cost of about 10 cents per liter we had to be careful about the water usage. Washing the boat at home we just ran the hose all we wanted. Here we filled a bucket with soapy water, and then from there applied it with a brush. We hosed the whole boat down carefully with fresh water, and then using a stainless steal cleaning product to remove any apparent start of rust, and oxidization. This product would also coat the stainless steal, and protected from the salt water. As you can see we also cleaned everything and anything that ever had contact with salt water. These were some of the other boats docked with us at the Town dock at George Town. We used this opportunity to do all the laundry and clean up the boat for an extended leave. The boat behind us here, was used as a base for a Christian mission. The owner was a self funded missionary, and did lots of good work to spread the good news of Christ in the Bahamas. At low tide the boat was sitting on it’s keel. This does not harm the boat, but it is uncomfortable. However, there is a danger of the boat scraping against the dock, and getting all scratched up and damage. The tide goes up and down every 6 hours. Can you imagine leaving the boat here unattended for 2 months. The port side would have been a mess by the time we got back. I had to get up in the middle of the night and make sure the fenders were positioned properly, and the docket lines were set up properly. Also the docks are open to public accesses. 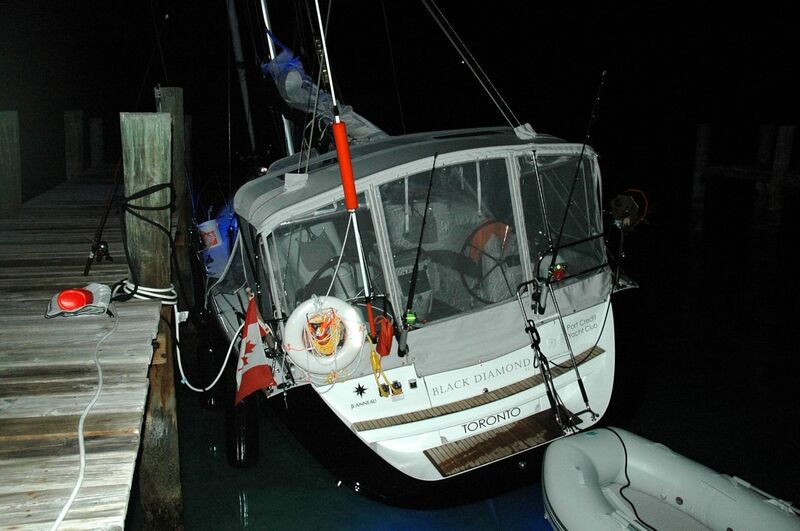 I have been told, I would have to worry about the boat being vandalized or items stolen. We decided to leave the boat elsewhere, look for the next post to see where. Before this trip, I was worried about leaving my boat on a mooring ball, thinking it was safer at a dock. Now I would only leave my boat on a mooring ball, but in a secure and safe location like St. Francis that I recommended. Even though some marinas might be safe, the boat will still ride up and down on the dock in tides, and no one will really care if your fenders shift and your boat is getting all scratched up. Also is the dock protected from wind and waves on all sides? WOW! The stark blue color of the waters is really glaring to the eyes. I somehow felt that I am looking at the inviting waters personally. 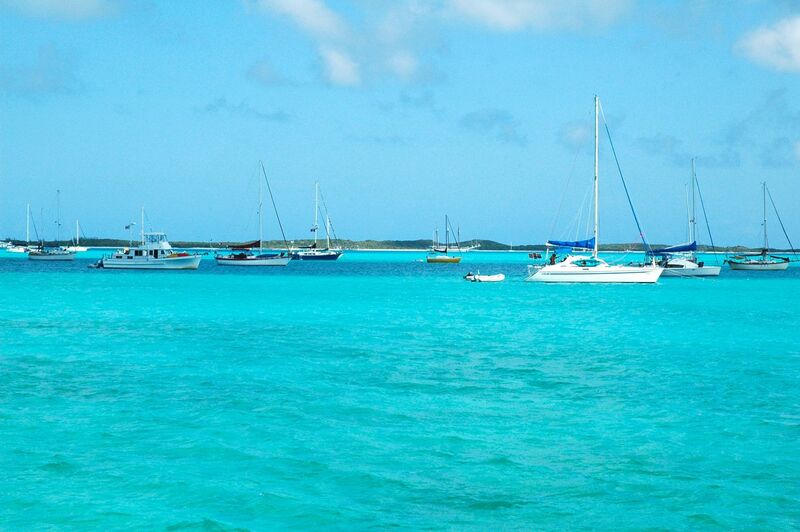 I am dreaming of the time when I will visit the Bahamas again. Btw, if ever you would need any boat ropes or splice ropes please feel free to check out my website http://www.BoatRopes.co.uk. 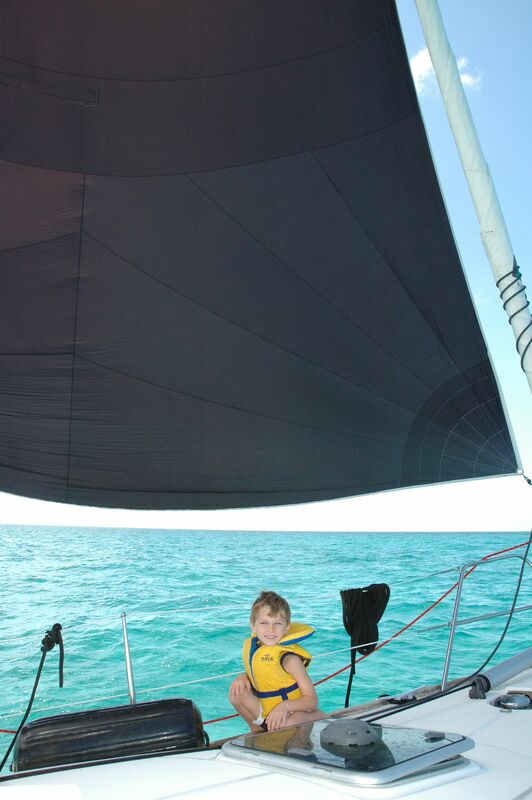 We are on twitter.com/yachtingtweets but you will get far more updates here on our blog. Top Left corner, enter your e-mail address to subscribe. Next story St. Francis Resort & Hurricane Hole with Moorings for Rent! 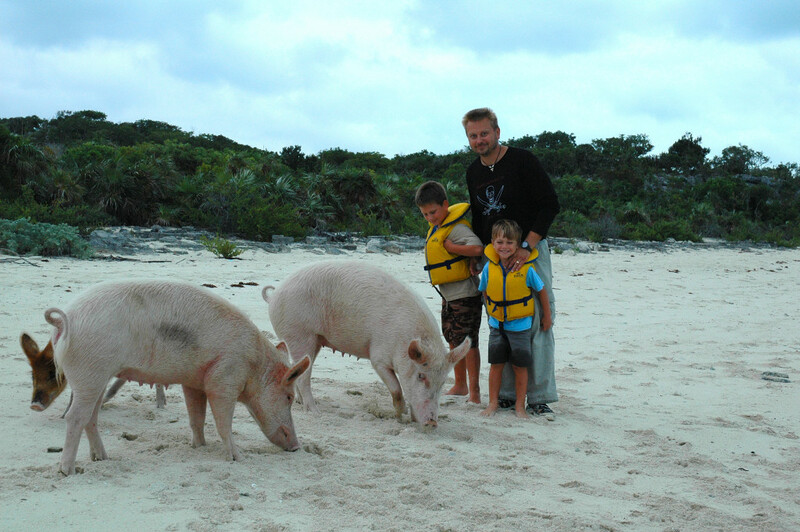 Previous story Exploring Stocking Island, Great Exuma.